Whether you operate an up-and-coming food truck, or are a dedicated fixture at craft fairs, you know that operating a mobile business has its challenges. You are constantly on the move, and as you deal with the hustle and bustle of your customers, you are always looking for a way to expand your horizons and turn your passion into profit. 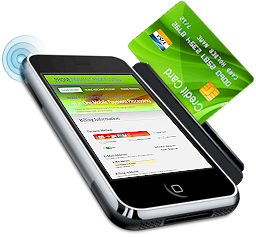 Wherever you do business, you need to consider adding mobile credit card processing as part of your operations. Without mobile processing, you may be limiting your customer base and losing business. Many mobile entrepreneurs shy away from accepting credit cards because they feel like the fees and logistics are not worth the effort. However the reality is that most consumers favor carrying debit or credit cards in lieu of cash. Cash is easily lost or stolen, and also difficult to keep track of budget-wise. The fees associated with credit processing are far less than the potential business you are losing. While your small, on-the-go business may not seem conducive to credit card processing, creation of mobile phone credit card processing technology has changed this. With the right equipment and support, you can accept payments anytime and anywhere. This means that you never have to turn away a customer, and can capitalize on an expanding market. AVPS can help you with our customized payment processing solutions, including setting you up with a mobile phone credit card reader. We have equipment that works with both the iOS and Android platforms, so you can use your existing smartphone for effortless payments. We also provide training, fraud protection, personalized service, and other utilities that ensure you have a trusted partner supporting your business. Contact an AVPS representative, and let us show you how we can help grow your mobile business through our mobile processing solutions.